Messier than a bundle of headphones. Oh, boy. 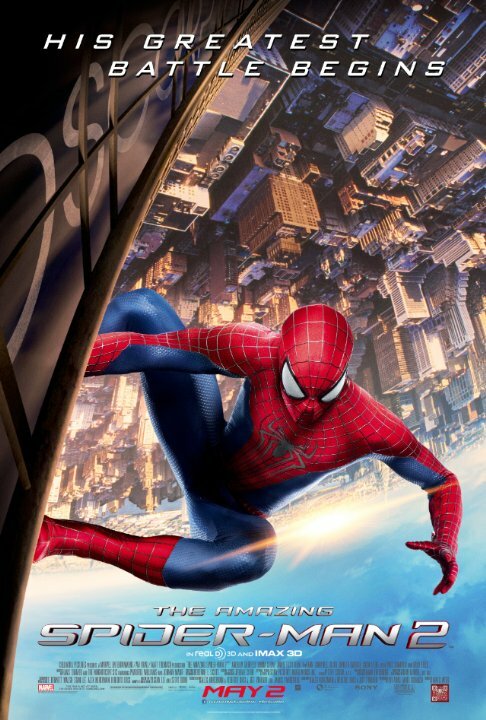 Amazing Spider-Man 2. I didn't think it would be this tough. I now understand why everyone is so split about Spidey 2, because this one really was a bold move on the makers' parts. A very frisk, sudden and controversial move� But it wasn't bad. I'm not exactly sure what I felt when I came out of the movie theater after watching it. Did I like this? Was that a good decision? I still partly have no idea what o hunk or assume of it, but, in my defense, it is very difficult to do so. So, sometimes the best place to start is where everyone is placing all the attention: what isn't good about it. This is a long film. Extremely long. INSANELY long, in fact. There were many points where I thought the movie could have ended easily, but it pulled a Lord of the Rings on our asses and spanned another fourth act, because something quite monumental happens at the end of the third, which left me personally bewildered and unsatisfied. It had already been making unstable course in its first half, with a rather contrived and less humorous script than its predecessor. Maybe that was the intention, to go for a darker movie this time around, but why not make it without all the emotional and manipulative inconsistencies with the characters and tone? The whole affair felt a little muddled. Beautifully acted, filmed and choreographed as before (and as expected by now), yet the incessant flow of events and focal elements in the story were missing. Instead we were given subplots which went nowhere, Gone x3 by Phillip Phillips, one goody turned baddy, one pathetic character turned baddy, one baddy who appears twice for five minutes each and one question which is now cemented in pretty much all of our minds: What was that and where is it going? Whether this is good or bad, I will leave up to you. As for me, I'm smack in the middle, I can't think right now. As for the things I enjoyed: As afore mentioned, the photography and stunts looks great. Although they did seem a bit gluttonous and definitely showoff-y, the special effects were handled well, the suit looked nice, Andrew Garfield was amazing and the huge change of events near the end is something I don't know how to feel about, yet, but I respect the decision. With some more fitting editing and less melodramatic sip-sap here and there, this could have been a great superhero movie, but the fact that it wasn't even sure itself if it really was about a superhero, makes me a little worried. Plus: more Giamatti, man! What happened there?